Lenus is Ireland’s foremost repository for health-related research and associated “grey literature”. Launched in 2009 and powered by the open-source DSpace repository architecture, Lenus is managed by Dr Steevens’ Library, Dr Steevens’ Hospital, Dublin. Through its dedicated website Lenus collates, indexes and disseminates the research output of the many organizations providing healthcare in the Republic of Ireland, along with their administrative, regulatory and clinical publications comprising the background and context for Irish healthcare. It fulfils an essential preservation function for health literature in Ireland and for advancing the principles of Open Access in health research. 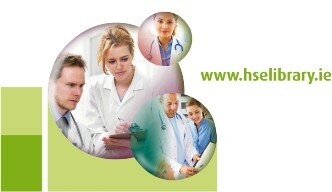 The HSE library website provides a wide range of electronic library services to all staff working in the HSE. The site is maintained by HSE library staff. Services provided include e-journals, e-books, bibliographic databases of published research, document supply, an individually-tailored clinical query answer service, research support and much more. These are available to all staff with internet access - staff simply select their local area from the interactive map to apply for an Athens account enabling off-site access to library resources.